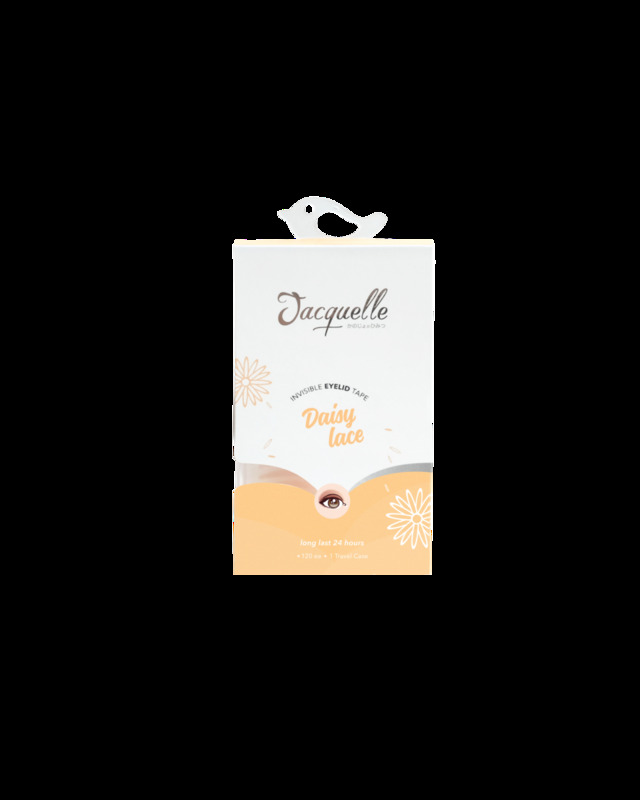 Invisible Eyelid Tape comes with thin transparent tape with skin color & lace pattern that very easy to apply. For daily use. 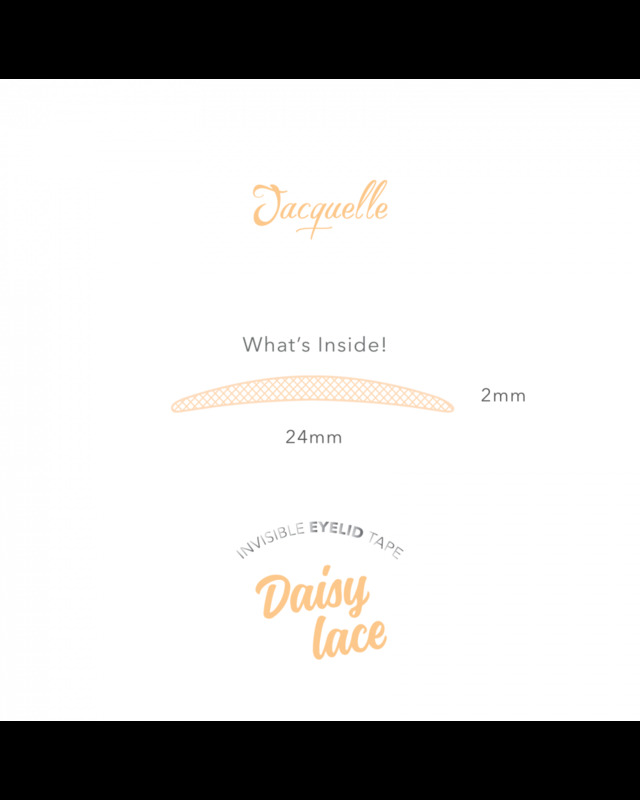 Jacquelle Lace Invisible Eyelid Tape - Daisy Lace to add natural crease to your eyelid. 1. 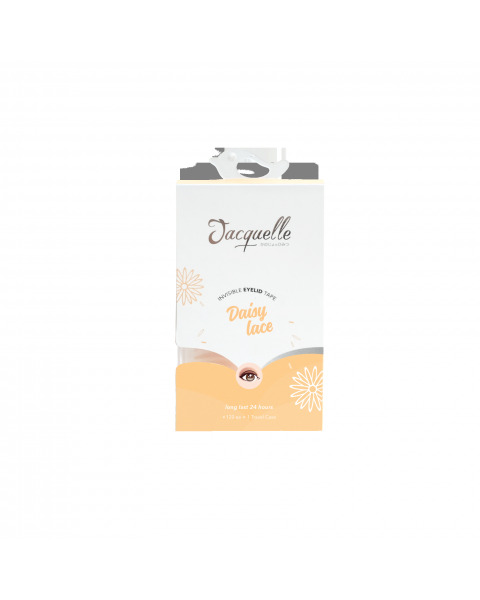 Remove any oil, dirt, and makeup from eyelid. 2. Take eyelid tape from its transparent paper. 3. Close your eye and apply the tape. 4. Push the eyelid tape to inside your eyelid.